Do you trust the findings of the scientific community to be accurate and reliable? i trust accurate scientific facts , but i dont accept their theories just like that without doubt, like evolution theory. That is a sensible approach. Do you have doubts over the science behind evolution? and what scientific fact could prove what really happen millions of years of periods, only guessing and observing fossils , that is just theory, not proven fact. proven fact is when you observe something with modern techonolgy and meassure stuff and other scinetist can test your results, that is scientific fact. While I don't want this thread to turn into a discussion on evolution, I will say that there is far more to it than "fossils and guessing". There is evidence from such fields as paleontology, genetics, comparative anatomy, biogeography, observation, speciation, artificial selection and mathematical computation. Most opposition comes from a lack of understanding of the science, not from challenges to the science itself. A "theory" is the best explanation for how a process works. Evolution explains how we arrived at the abundance of life we have now and does it very well, without the need for any unsupported assumptions. Do you have a better explanation that fits all the evidence and makes no unsupported assumptions? Not a long post please, just yes or no. If you do, start another thread and we can discuss it at length there. if you prefer to believe that life just evolved from non-living matter into complex beings, then it is is same as that torando put puzzles on correct places to form a picture. if you can believe that then nobody can help you. evolution only explains natural selection , NOT HOW LIFE STARTED or HOW being A transforms into being B during long periods of time. I like science, it is a good method. What I question is the scientific method, itself; how about we create an even more sophisticated method, and go from there? Correct. Evolution does not describe how life came about. It only describes how variety in life occurred, and it does this very well. Science does not have an accepted theory for abiogenesis although they are developing more sophisticated models and they have shown that all the complex amino acids needed for life can be produced from simple, inorganic chemicals. I take it from your post that you are happy with evolution but assume that because science has not shown how abiogenesis works, that god did that bit? What part of the scientific method do you find unsatisfactory? i am only happy with natural selection, not evolution, natural selection is not evolution. natural selection is survival of the fittest. How do you see evolution not happening by the process of natural selection? and i did not say that. evolution is not natural selection, evolution is when so called being A evolve into being B by createing new organs to itself during long period of time. 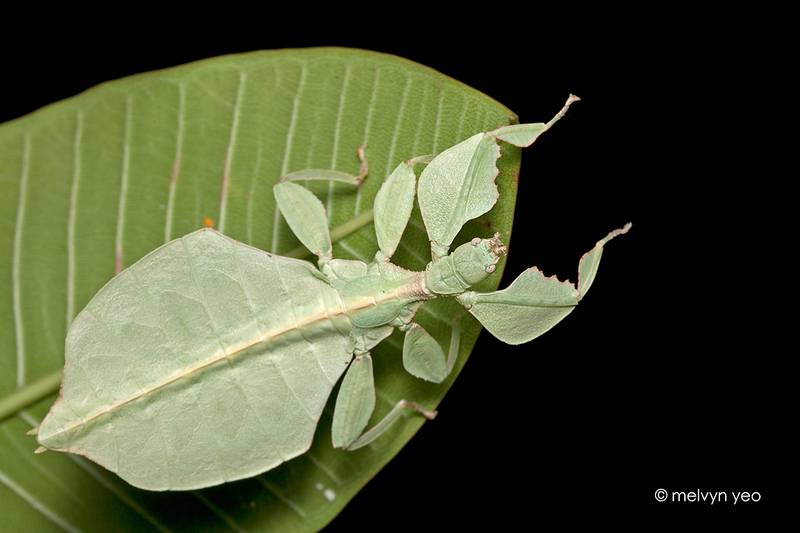 natural selection dont explain how they were created/evolved like this that insect look like a leaf. Also, the common ancestor of humans and chimps would have had the same organs as both although they are different species. Yes it does. The ones that are better hidden are less likely to be eaten, so they are more likely to pass on their genes for "leaf shape". This carries on over hundreds of generations. This example shows how in actually observed species, and that was over only 200 years! You are raising questions that have already been answered. So, to bring us back to the title of this thread, you trust your own incredulity over millions of hours of research, thousands of peer reviewed papers and hundreds of testable predictions. They are all wrong and you (with no specialist training in the relevant fields, I take it) are right? As a matter of interest, are you equally distrusting of science when it comes to transport, telecoms, aviation, computers, medicine, etc? Or is it just where science contradicts scripture? the problem with you is that you take theory of evolution as fact, you believe this THEORY = FACT. that is the problem. how many times have we heard scientists say, we were wrong, it not like that anymore it is like this , after new reaserch. and we shall suppose to believe 100% their theory of evolution. A scientific "theory" is an explanation that best describes a process. It is not immutable "fact" (science does not work like that) but it is close. For over a hundred years, scientists have tried to disprove it or come up with better explanations and failed. Evolution explains what we see and explains it very well, and does not need to invoke any supernatural power. Many times. That is how science works. It builds and improves. It also eliminates mistakes when found. The theory of evolution is far more complete and accurate than it was when Darwin first wrote it. Please try to understand what evolution is and how it works. Organisms do not create new organs for themselves. It is nothing like a mother giving birth to herself at all. The analogy makes no sense. I'll give you an analogy that works. Your descriptions of evolution is like me insisting that Islam was founded by Muhammed when he was given the Quran on some golden tablets while travelling in Germany, and it is like Hinduism without the waterslides. and by the way, how can you believe that evolution/nature create by itself a natural motor with 40 different parts on correct positions. i just cant accept , or my mind and logic cant accept that something like this create by itself, or that non-intelectual nature who dont have braind and mind create something like puzzles. For over a hundred years, scientists have tried to disprove it or come up with better explanations and failed. tell me if you speak the truth, how could evolution create rotating propellers in bacterias and spermcells? what force was it who initiated rotation of propellers ? A "living fossil" is not an "evolution hoax". Evolution does not state that all species must always change. If it inhabits a well suited ecological nich, with little or no competition, then change will be slower or may stop. Darwin dealt with these in "Origin of Species". He even coined the term "living fossil". This is only because you do not understand the science involved. Every objection you raise has been addressed in depth by experts in that field. If you really want to know, then study the science as well as the apologetics. Personal incredulity does not mean that something can't happen. An approach to the evolutionary origin of the bacterial flagellum is suggested by the fact that a subset of flagellar components is similar to the Type III secretory and transport system. All currently known nonflagellar Type III transport systems serve the function of injecting toxin into eukaryotic cells. 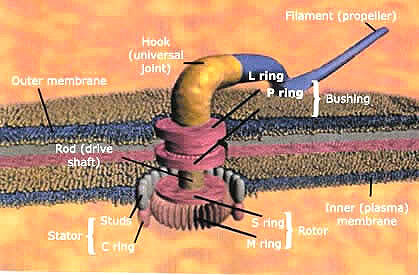 It is hypothesised that the flagellum evolved from the type three secretory system. For example, the bubonic plague bacterium Yersinia pestis has an organelle assembly very similar to a complex flagellum, except that is missing only a few flagellar mechanisms and functions, such as a needle to inject toxins into other cells. The hypothesis that the flagellum evolved from the type three secretory system has been challenged by recent phylogenetic research that strongly suggests the type three secretory system evolved from the flagellum through a series of gene deletions. It is also a possibility that the flagellum could have evolved from a currently undiscovered system with similar flagellar traits or a currently extinct organelle/organism. As such, the type three secretory system supports the hypothesis that the flagellum evolved from a simpler bacterial secretion system. so you accept their theories as fact, beacuse you can clearly see above that they guess about bacterial flagellum, you just believe that nature without any brain put puzzles on correct places, beacuse natural motor is like puzzle. They think that bacterial flagellum evolve from this or that, and you swallow their guesswork without any water. you believe that non-thinking nature put puzzles(motor parts) in these amazing natural engines and i believe that there is inteligent creator behind this, beacuse this natural engines are clear evidence for designer. how can you believe that this evolved by itself? can your mother give birth to herself? You need to come up with another argument than personal incredulity. Again, how do you respond to this? first of all, I need a definition of science?!! second, assuming, I know you will not like that but just assume, the human evolution from monkeys and the Piltdown man hoax as the missed link, were widely accepted kind of science for decades.......can we, now, say that was a science?! A systematic enterprise that builds and organizes knowledge in the form of testable explanations and predictions about the universe. second, assuming, the human evolution from monkeys and the Piltdown man hoax as the missed link, were widely accepted kind of science for decades.......can we, now, say that was a science?! 2. Piltdown man was not "the missed link" it was a small part of the puzzle which turned out to be a deliberate hoax. Evolution did not then and noes not now, rely on the Piltdown Man as proof. The fossil evidence of transitional forms went way beyond one specemin. 3. Yes, one very small part of science was fooled by a deliberate hoax. Others were not. And science ultimately proved it to be wrong. Rejecting evolution because of the Piltdown Man is like rejecting Islam because of Boko Haram. I will ask you a version of the question posed to Andalusi. Does the Piltdown Man story mean that you distrust the science behind aviation, telecoms, medicine, computers, etc. Will you refuse to take a medicine or use a computer because you have not seen the the experimental research yourself?